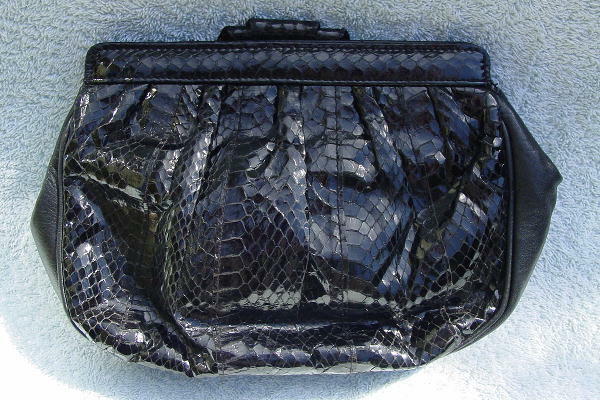 This vintage black snakeskin purse has a thin 41" long leather strap which can be tucked inside so you can carry it as a clutch. The inner rims are in black leather, and there are two magnetic closures. It has a thick black vinyl lining with a roomy interior zipper compartment. You pull it apart to open it. 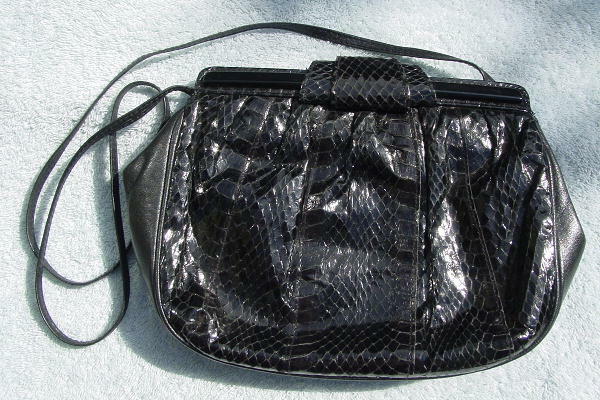 The front has a horizontal black plastic bar near the top and two looped snakeskin accent pieces at the top front center. The sides and bottom are in black leather. It goes from daytime to evening. It belonged to a Los Angeles model.